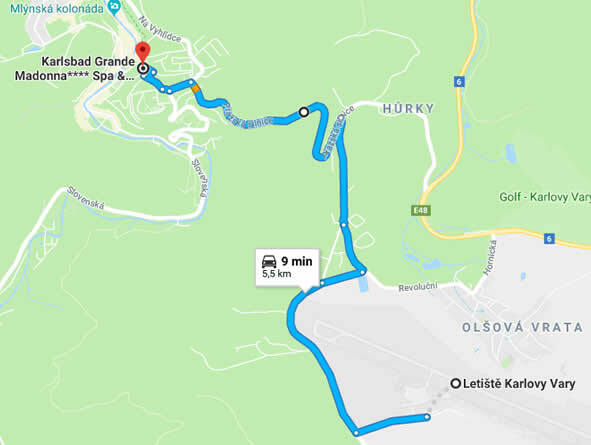 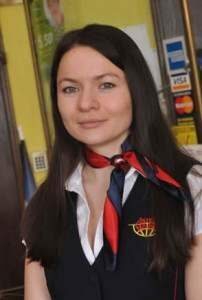 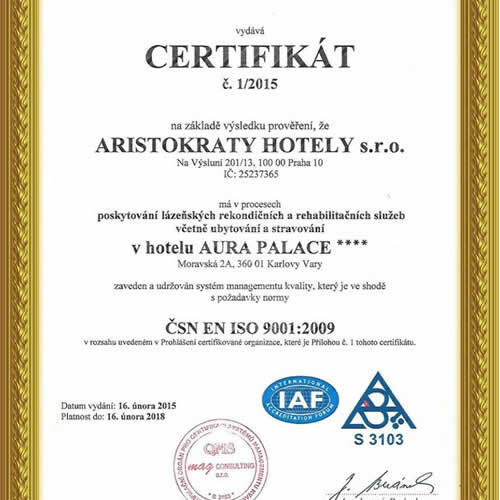 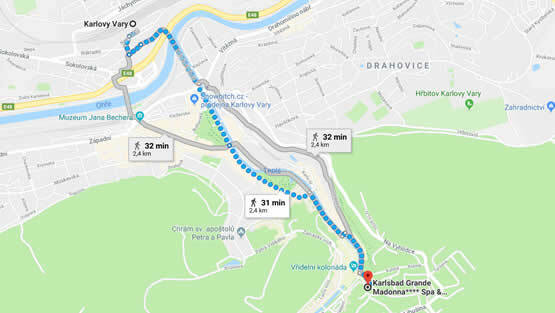 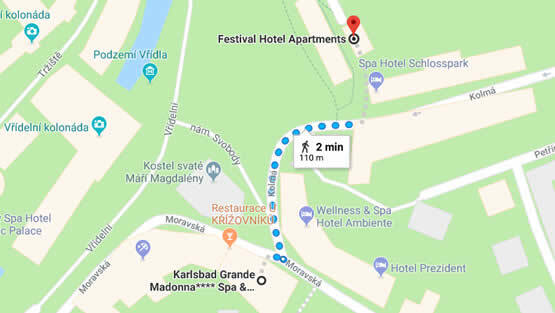 Is located near the church of St. Mary Magdalene, 200 meters from the Spa & Wellness Hotel KARLSBAD GRANDE MADONNA and a 3-minute walk from the main source of the hot spring Vřídlo. 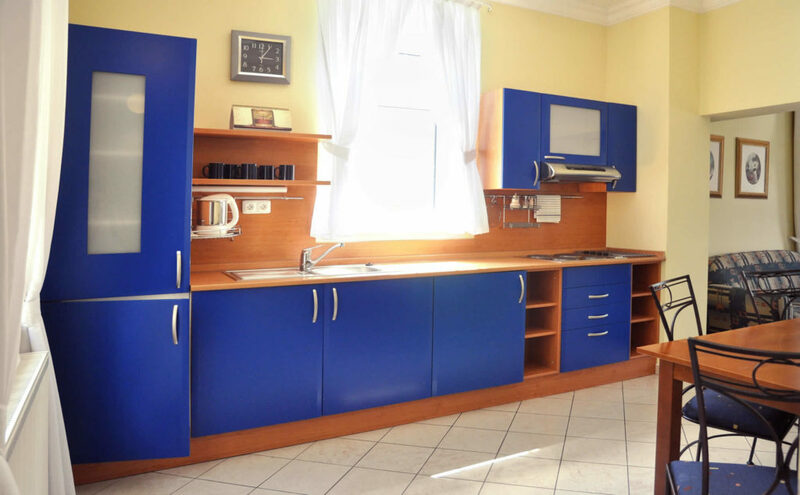 It’s an ideal option for those who like space and comfort for families, or for those who love to cook for themselves. 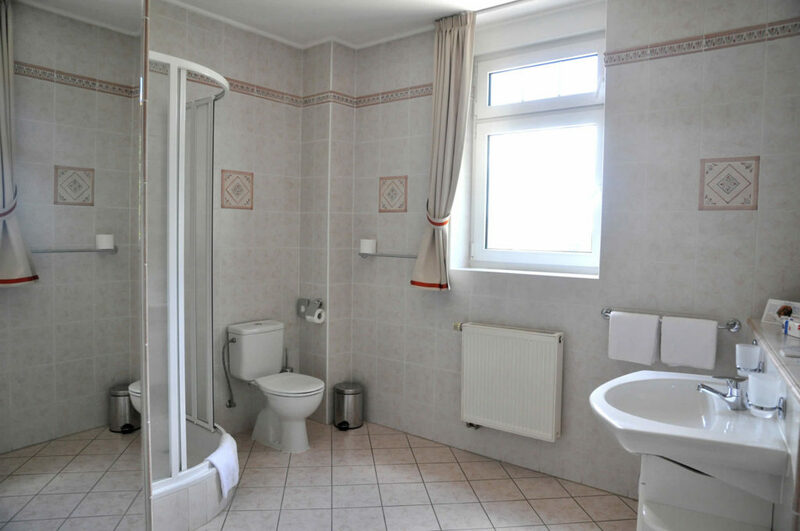 Each apartment features a hallway, equipped kitchen (stove, refrigerator, dishes, electric kettle), toilet, bathtub or shower, living room and bedroom. 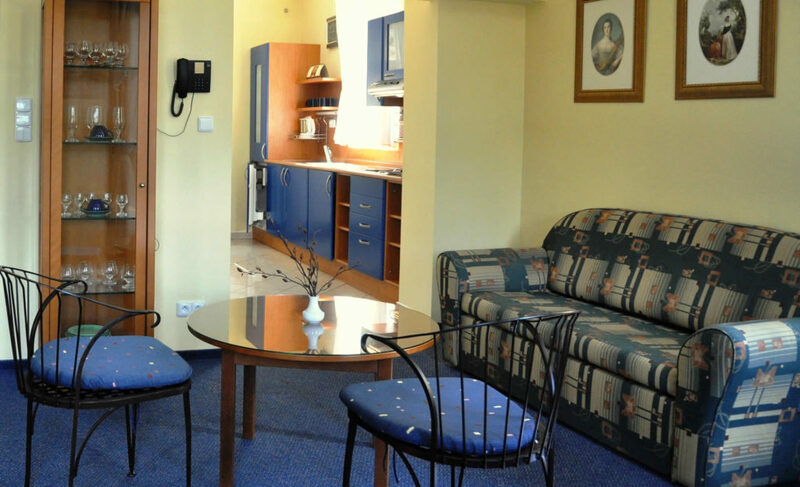 Each apartment has also a satellite TV and a safe. 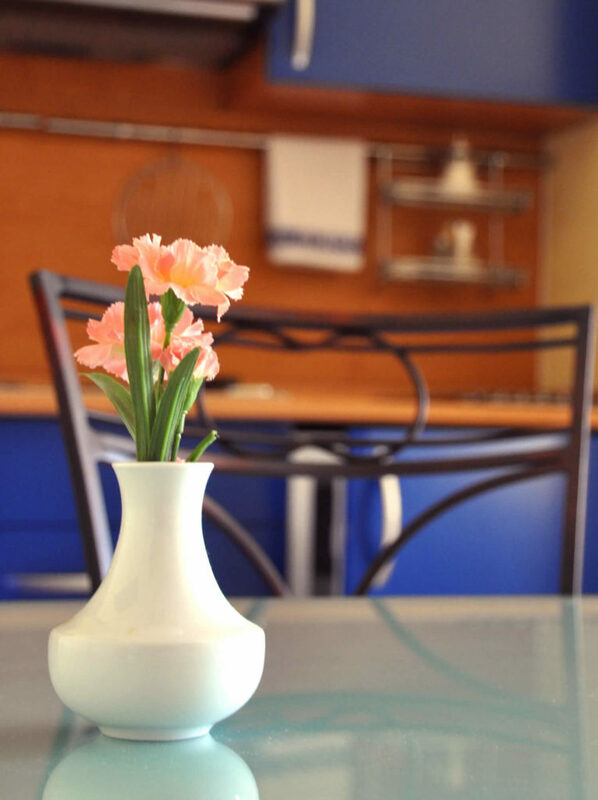 The restaurant and wine bar also offers meals a la carte. 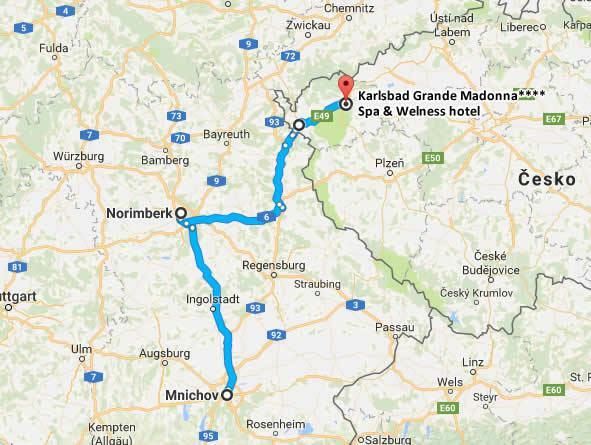 Parking is available next to Spa & Wellness Hotel KARLSBAD GRANDE MADONNA for a fee. 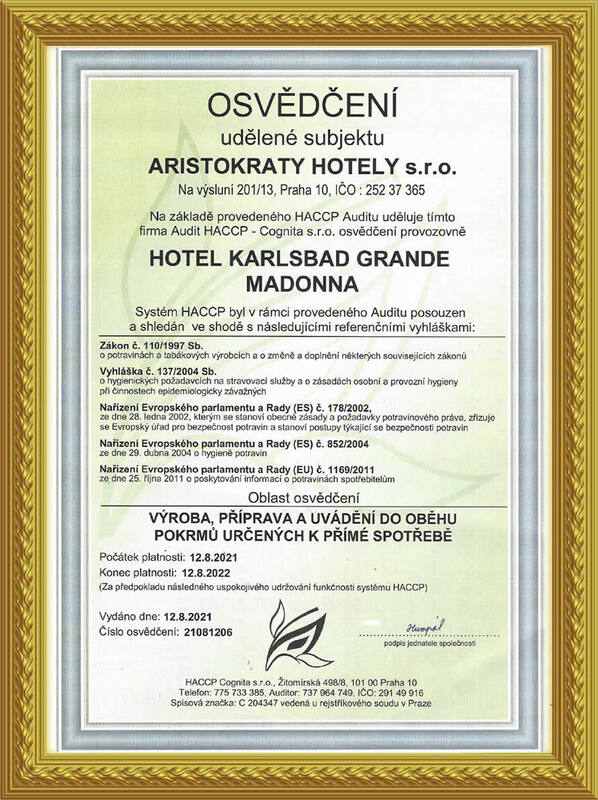 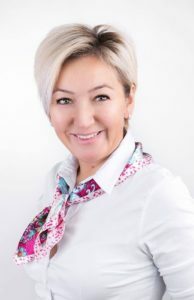 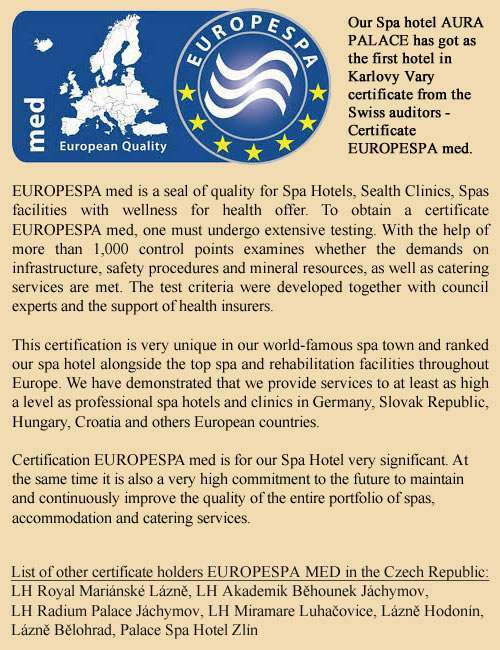 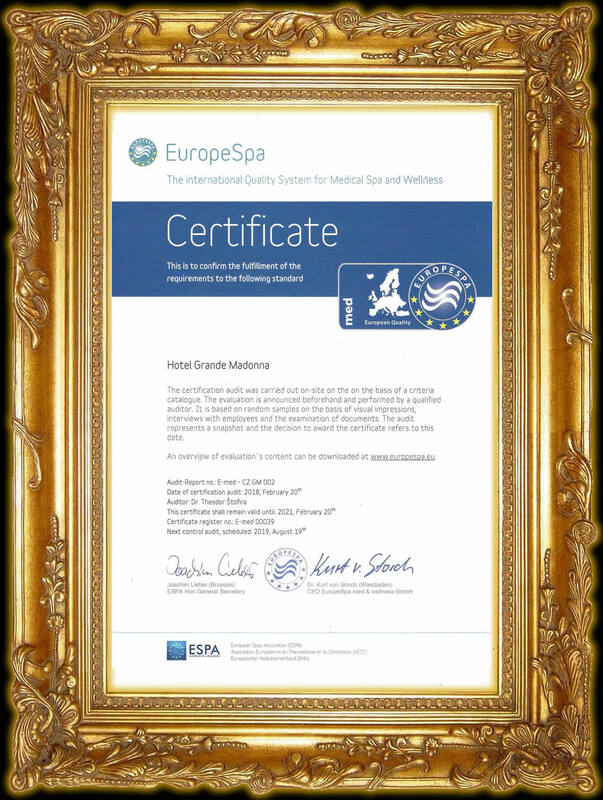 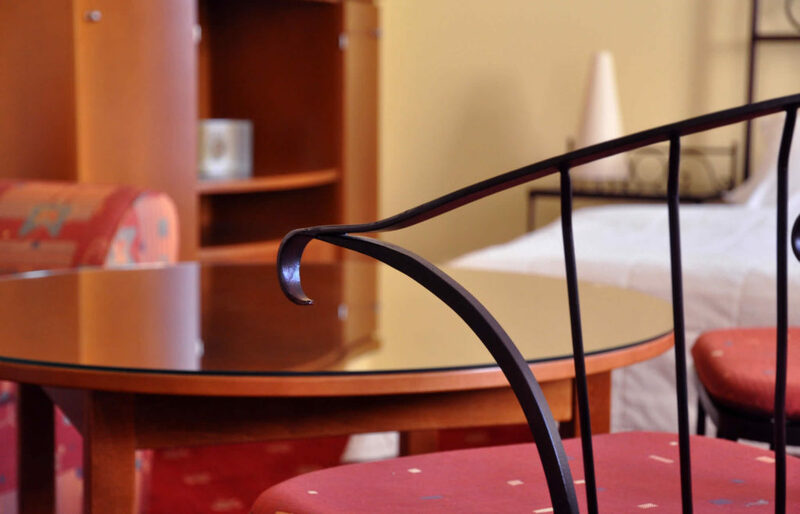 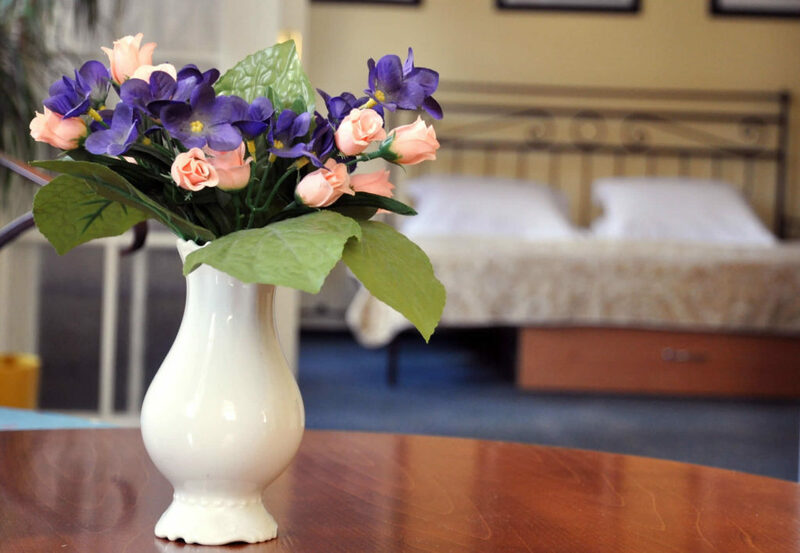 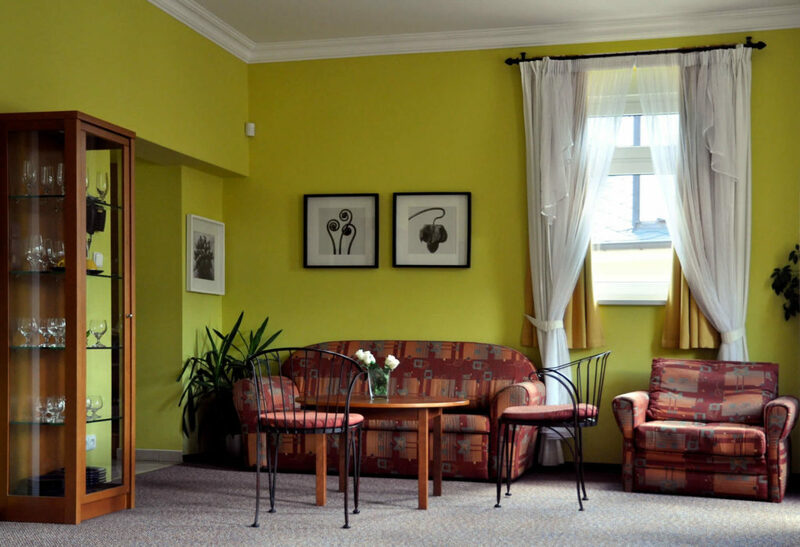 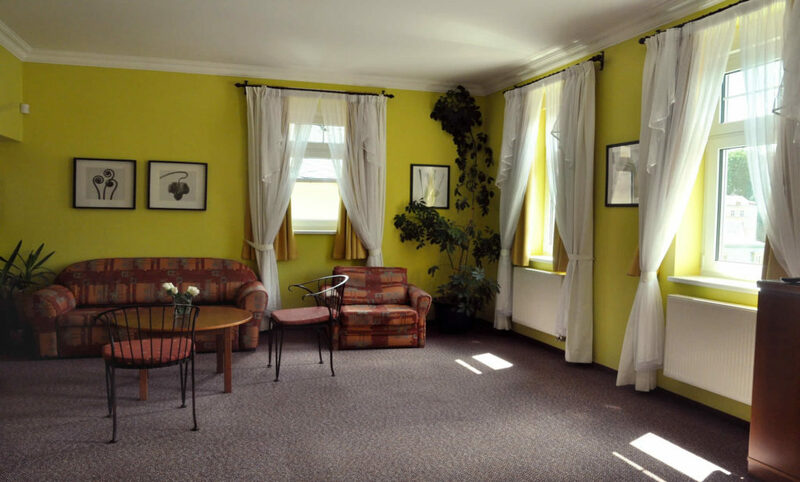 Complex services – meals, healing, administrative services and registration (check-in / check-out) are provided at the KARLSBAD GRANDE MADONNA spa hotel. 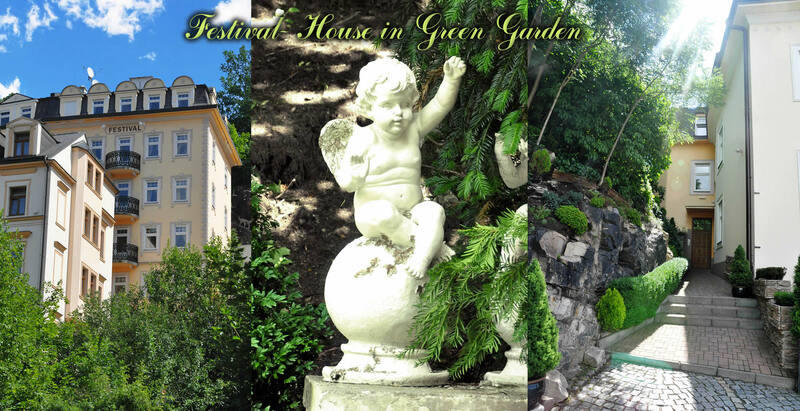 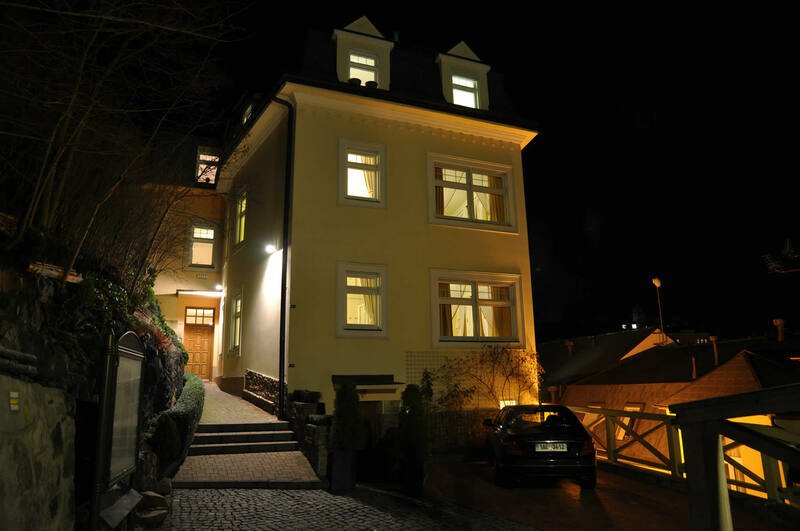 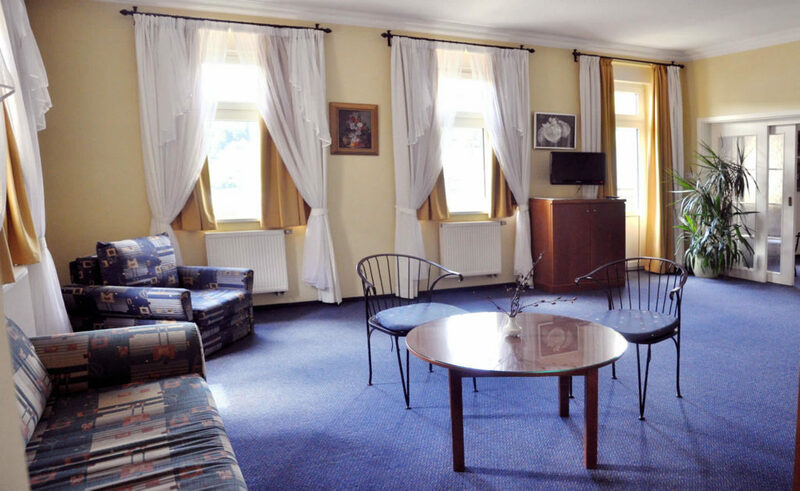 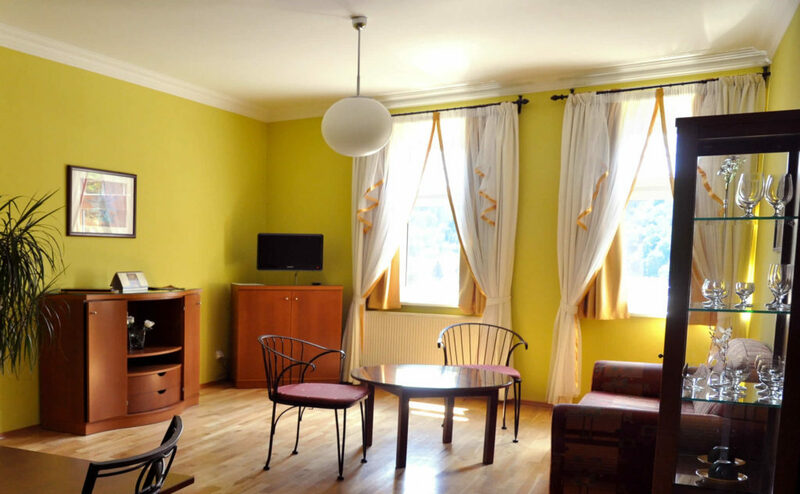 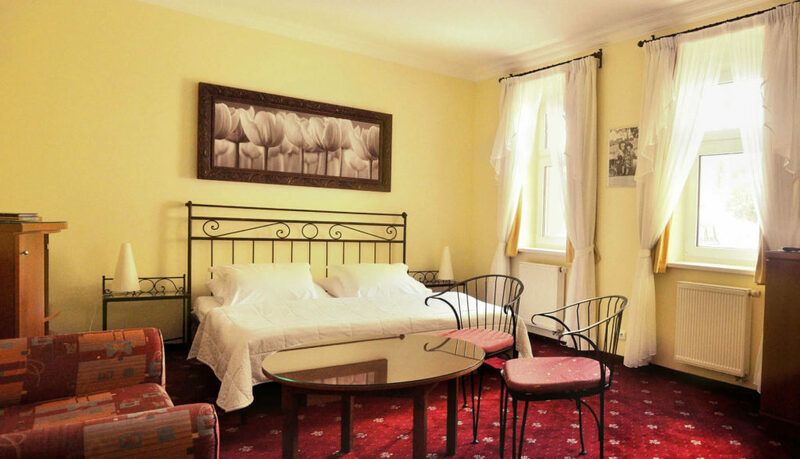 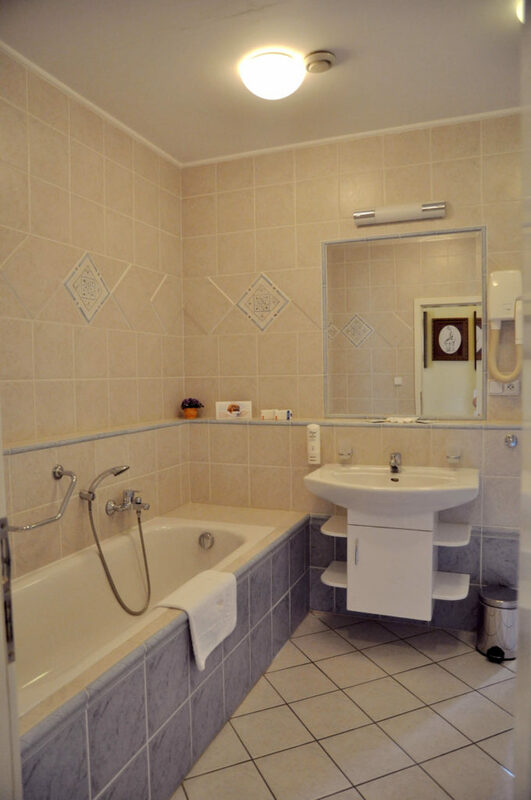 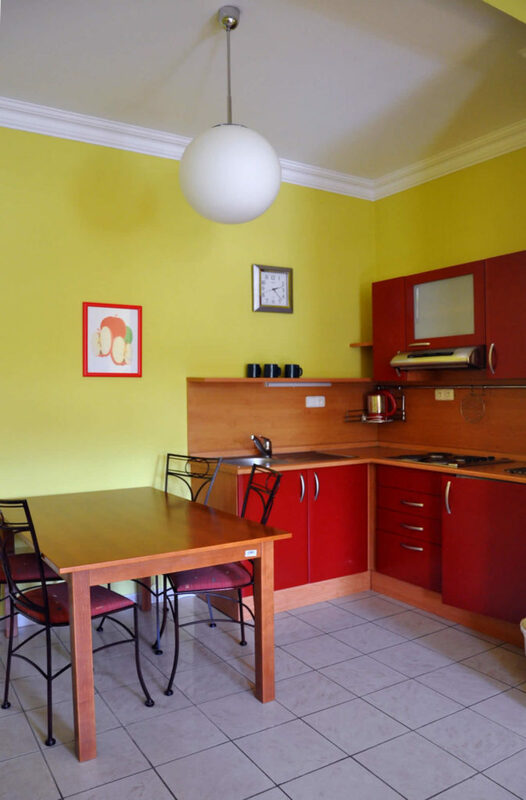 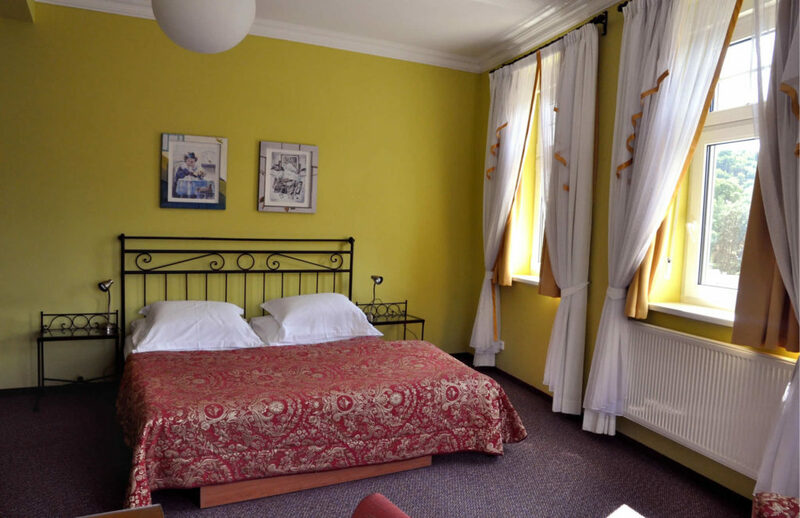 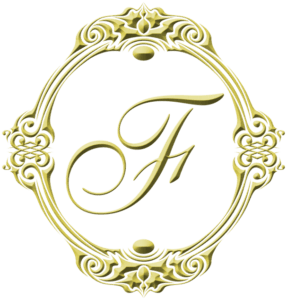 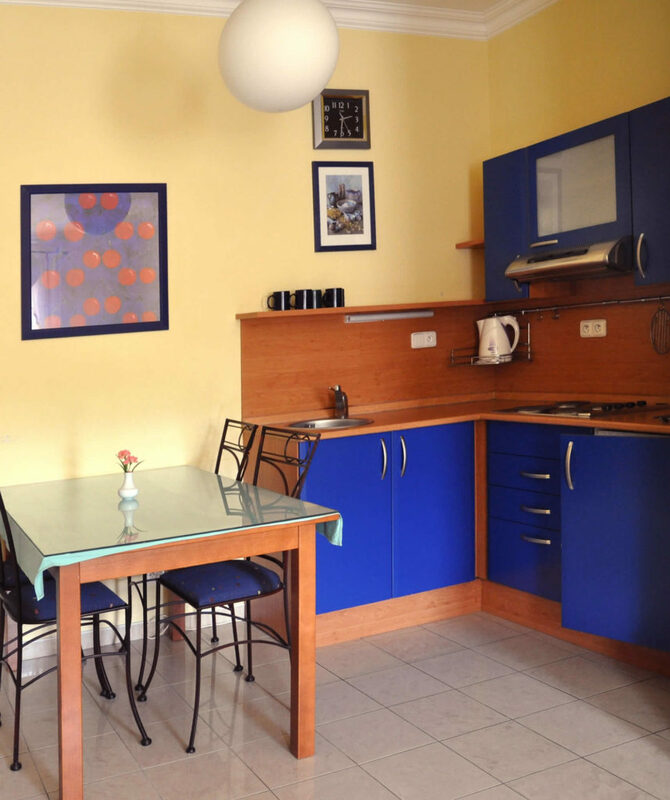 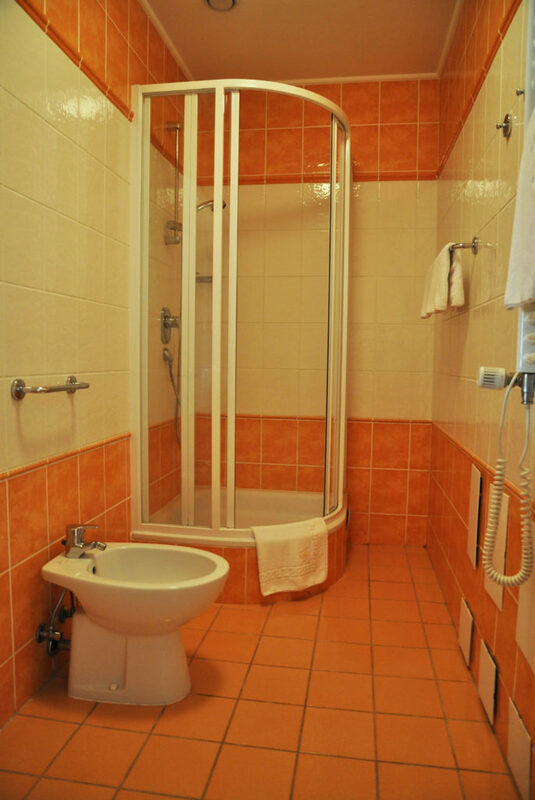 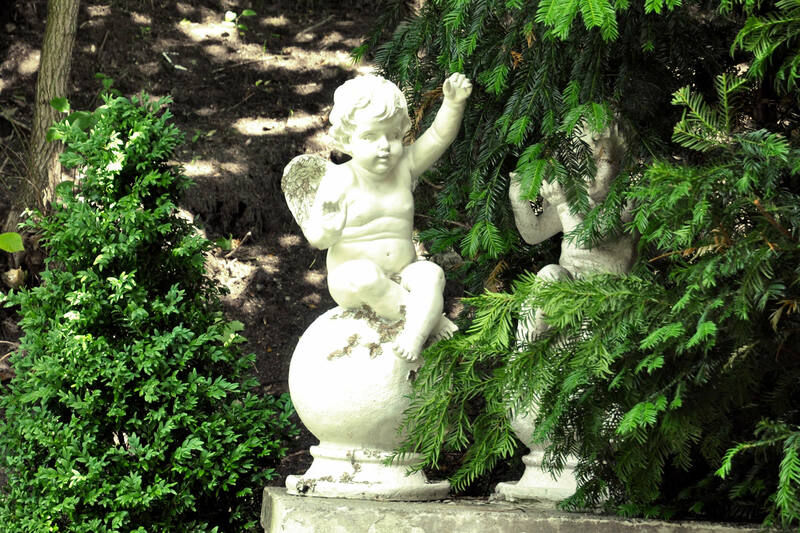 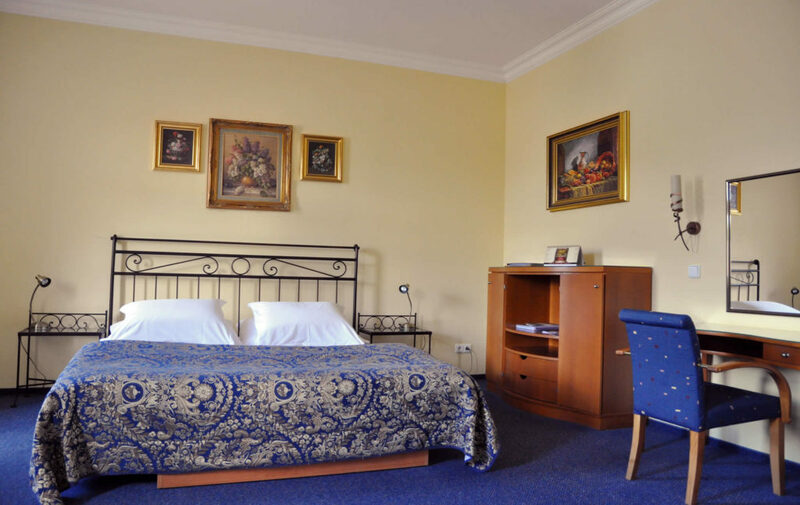 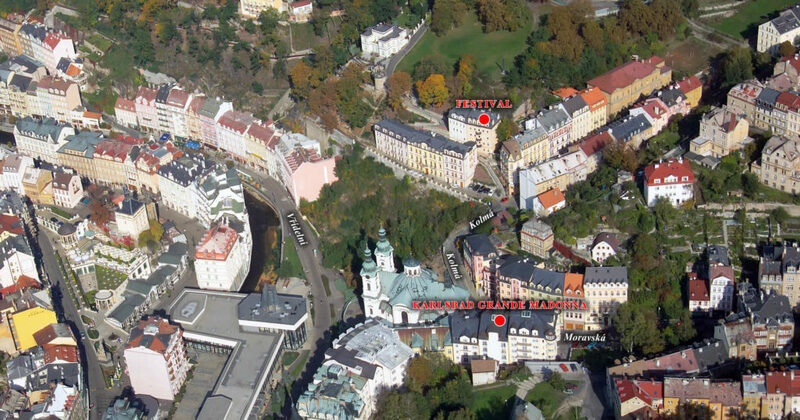 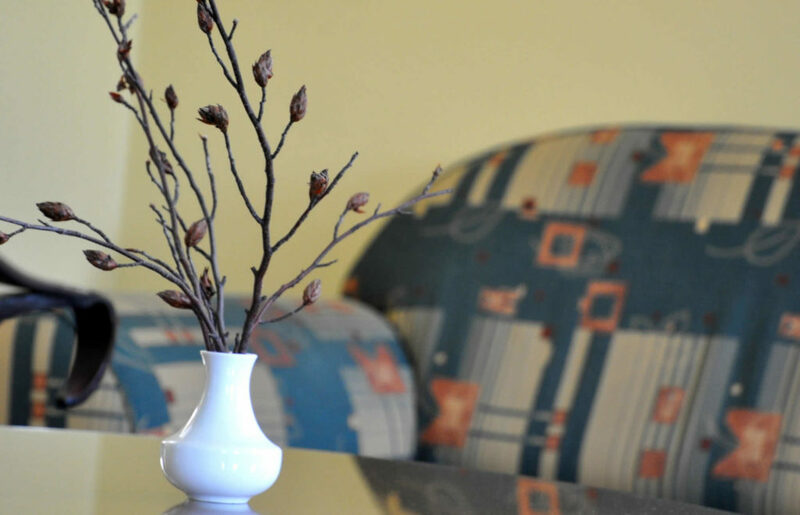 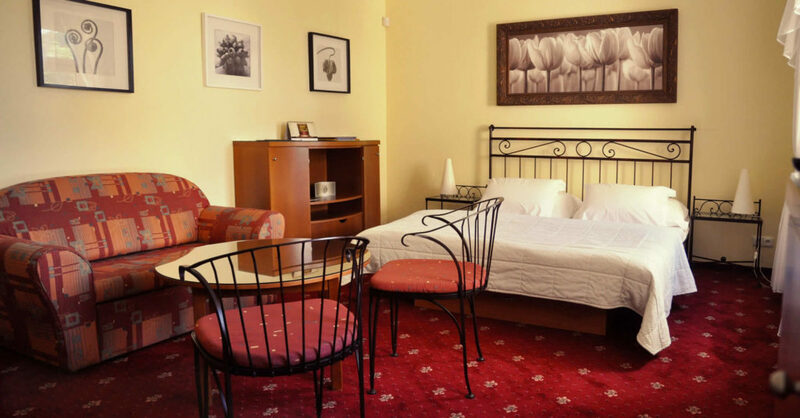 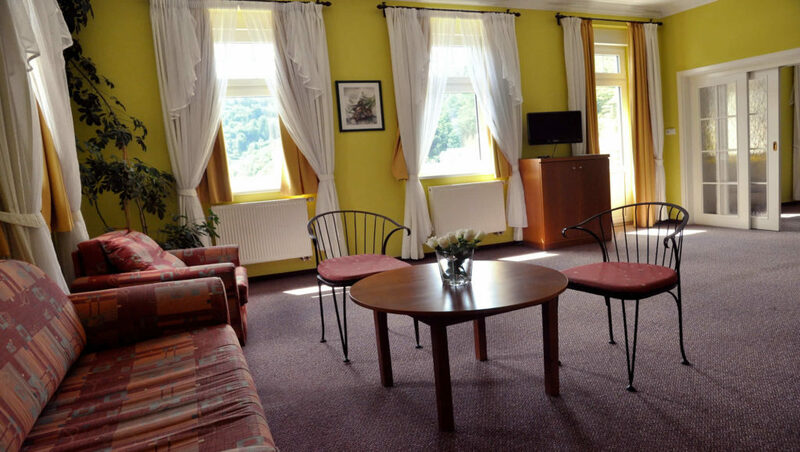 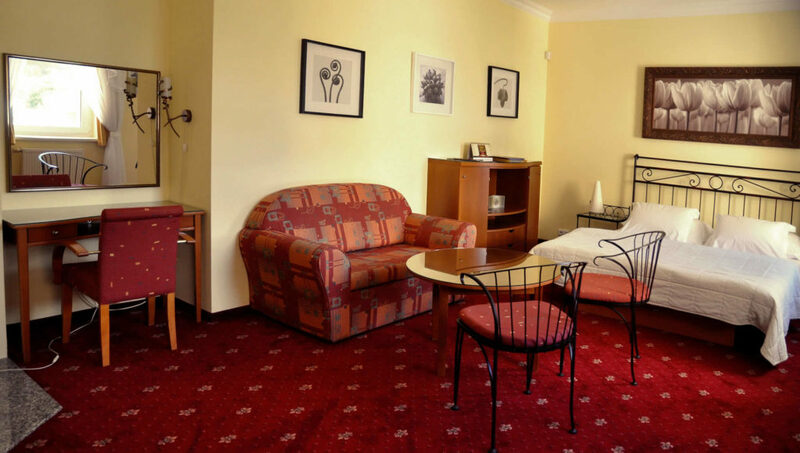 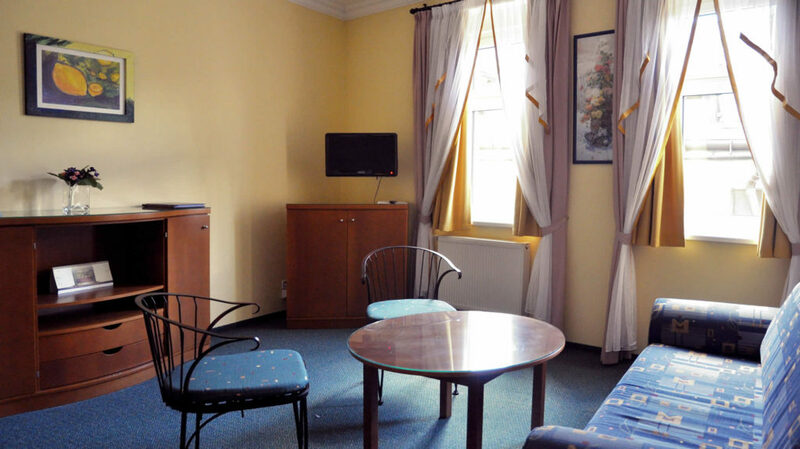 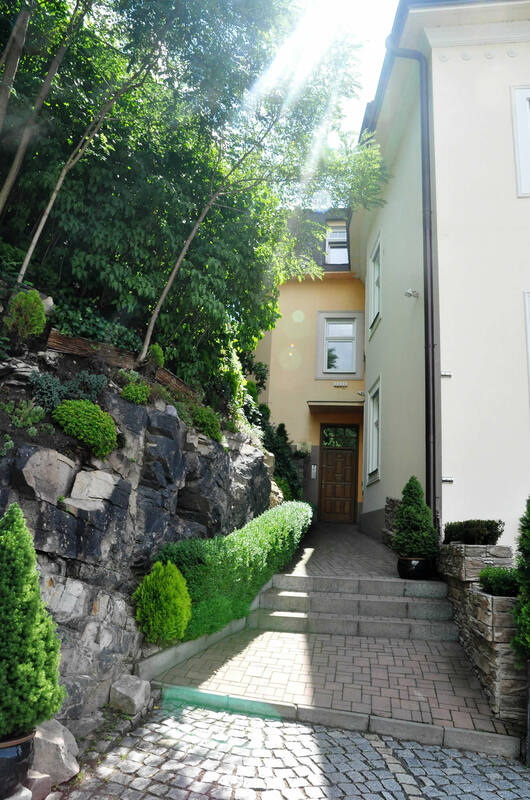 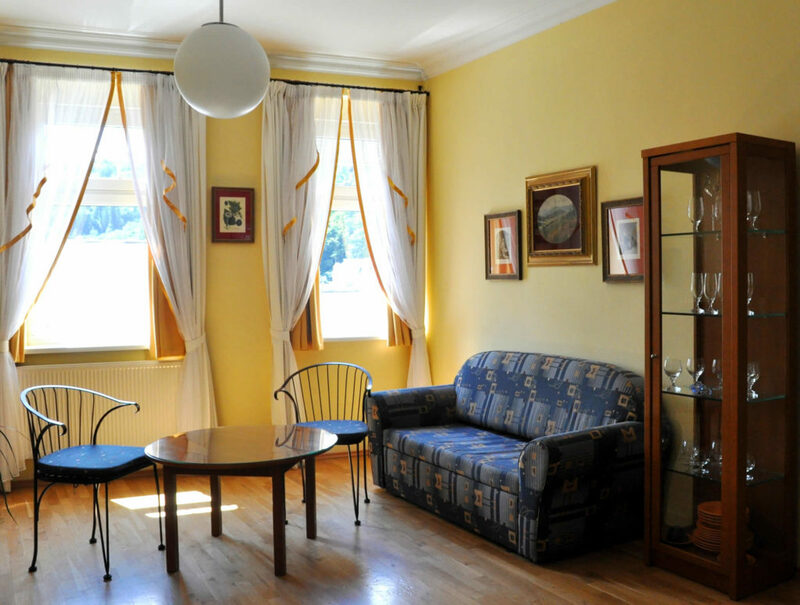 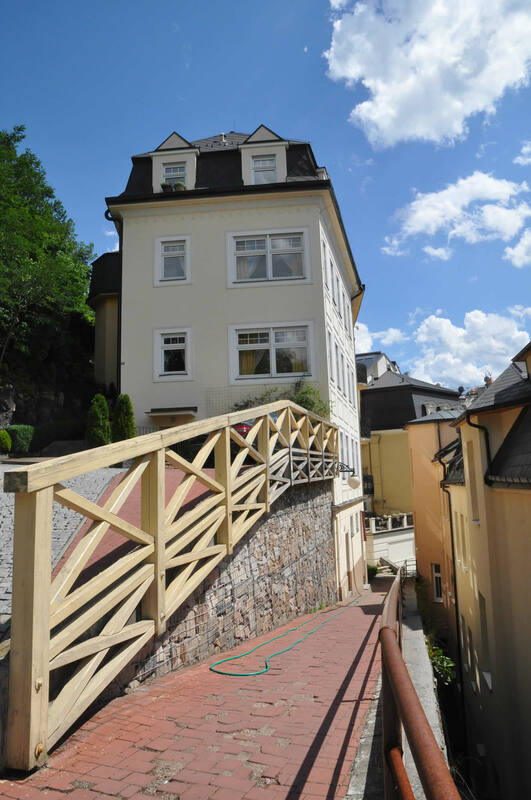 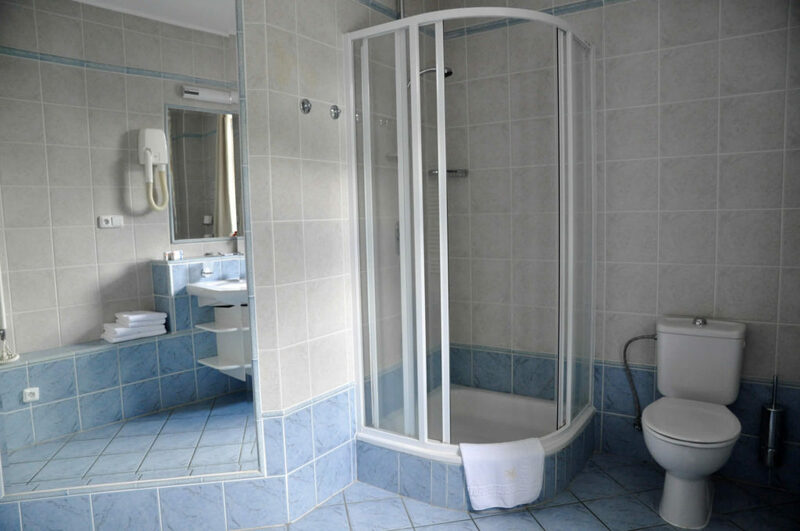 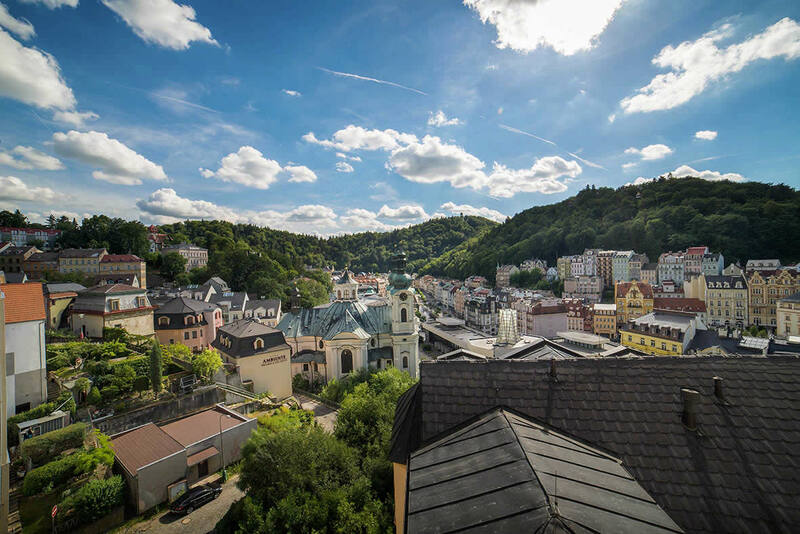 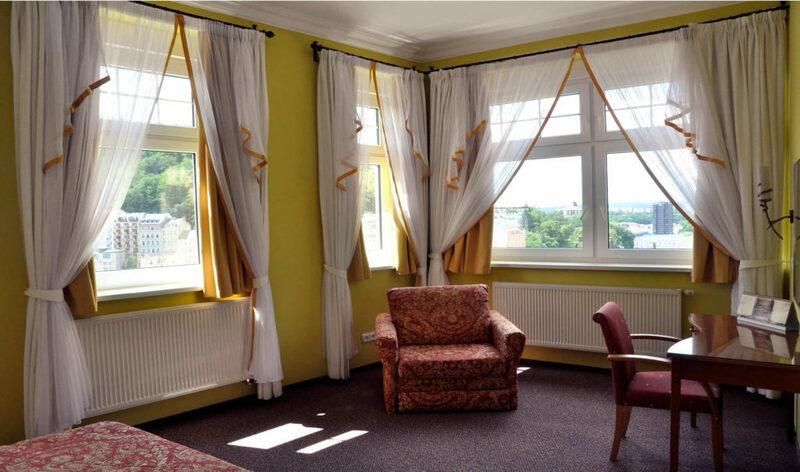 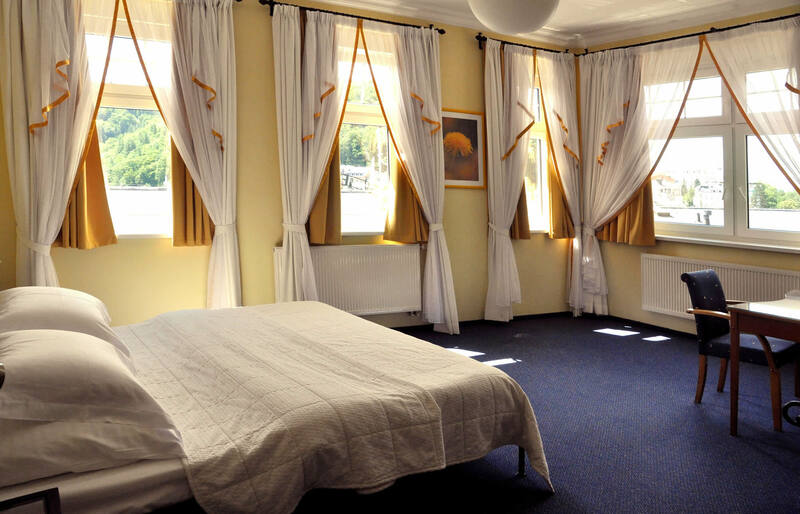 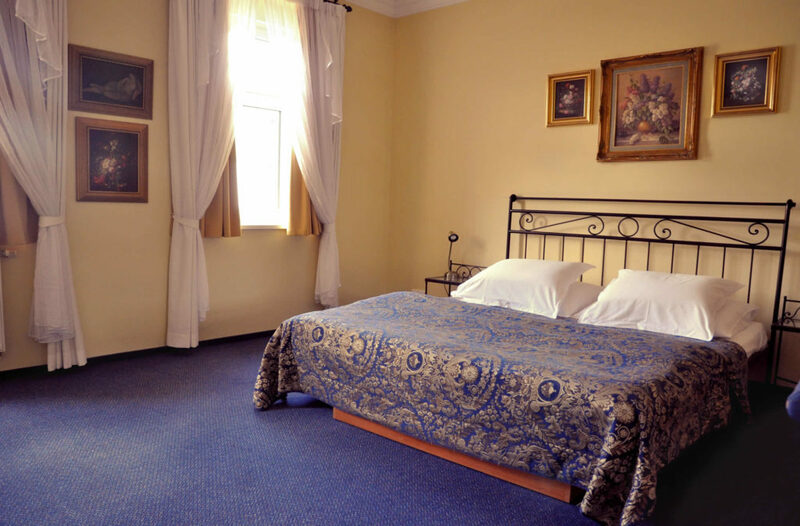 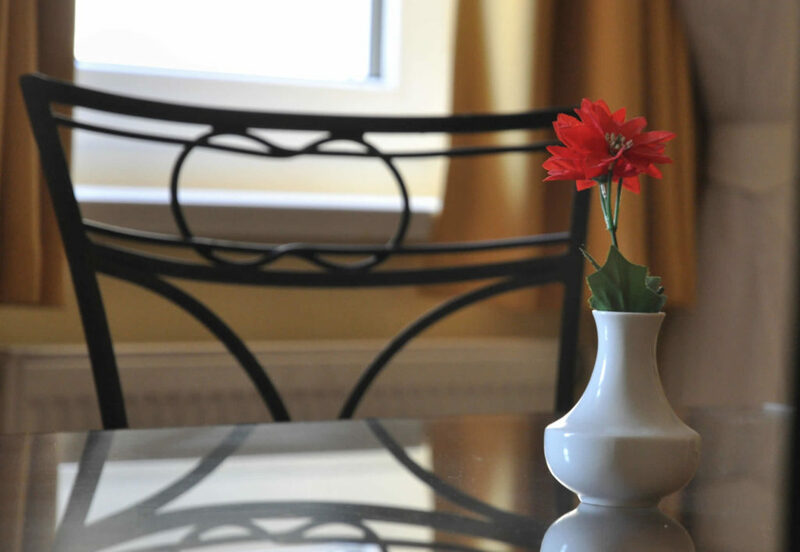 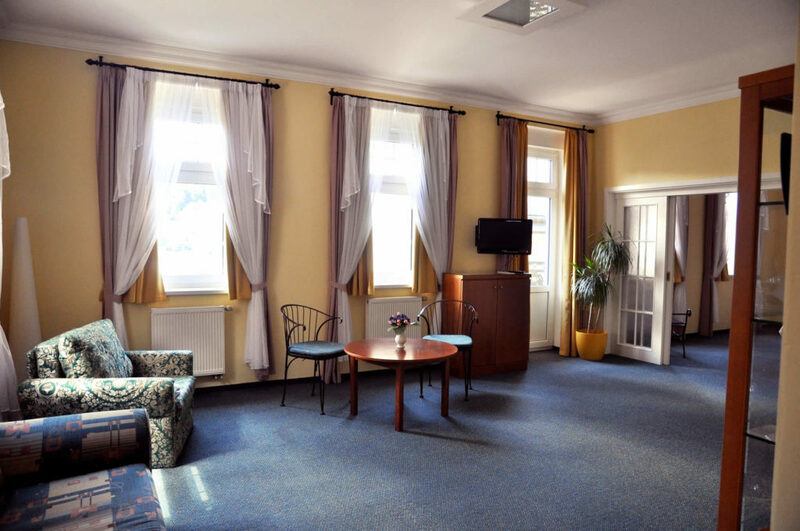 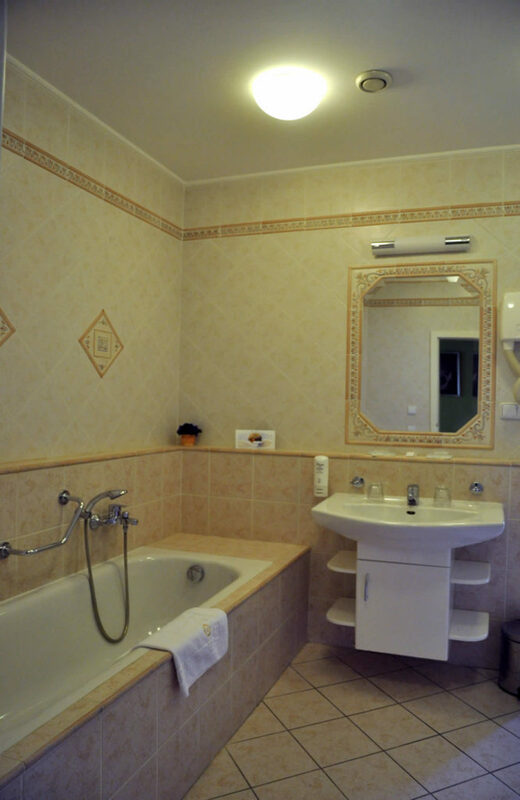 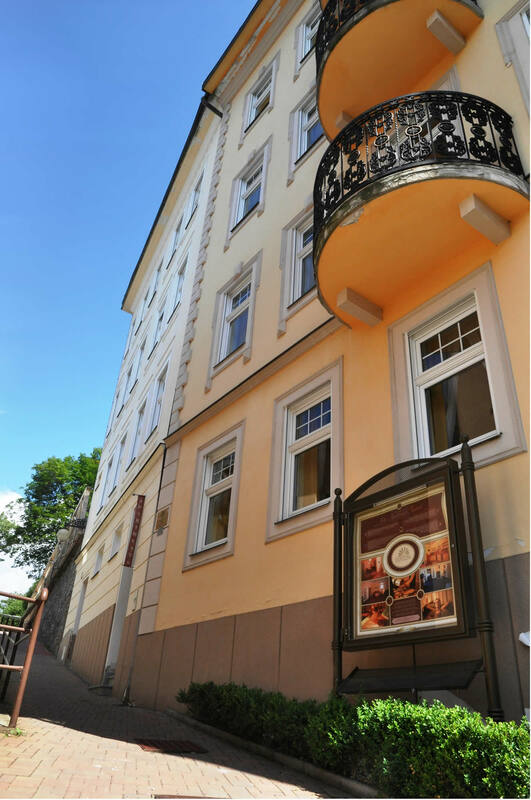 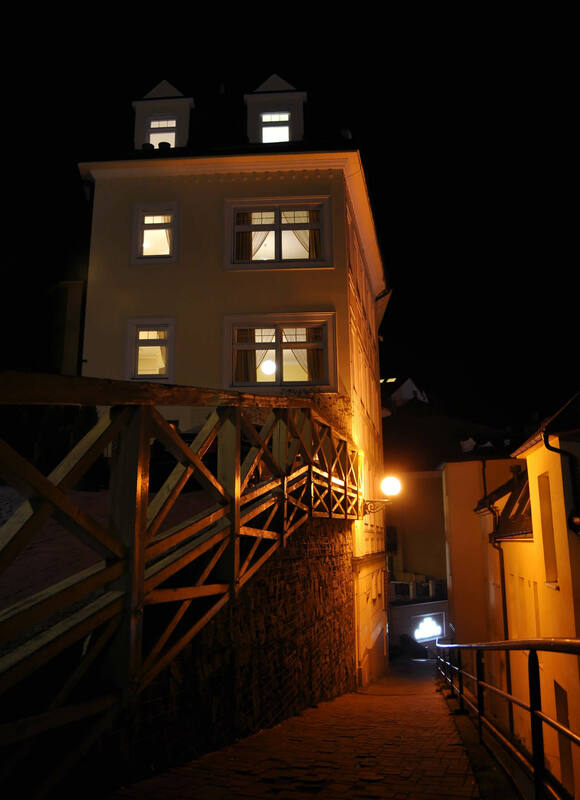 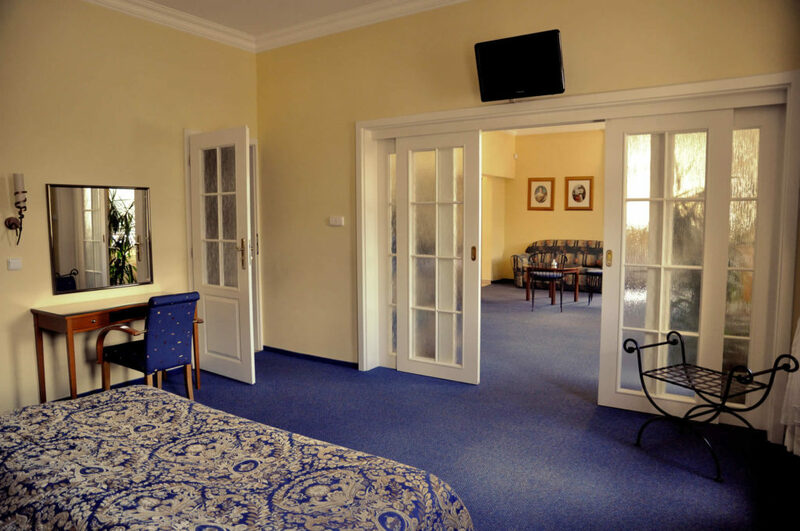 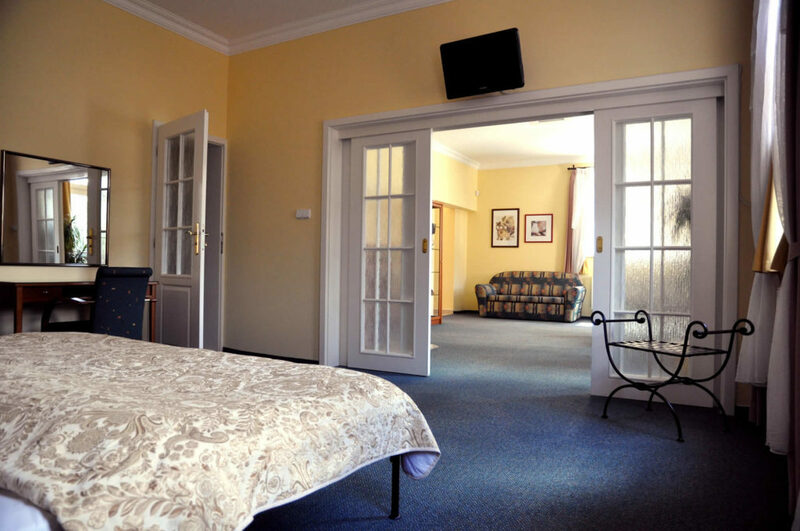 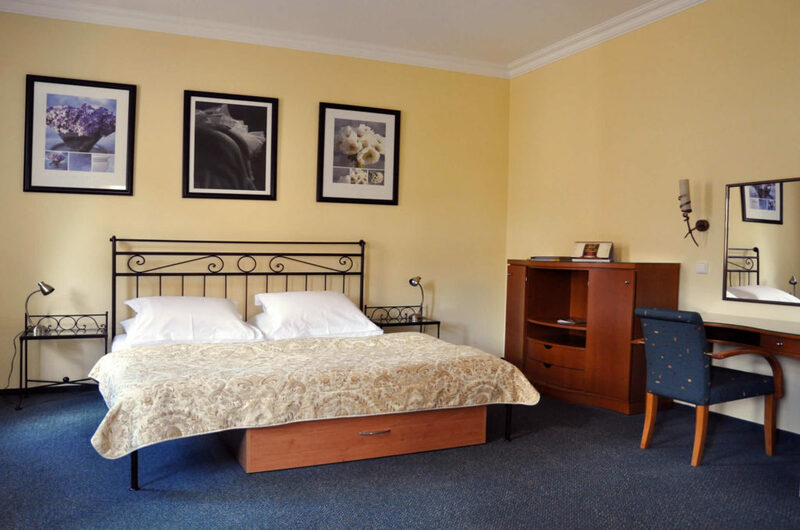 FESTIVAL APARTMENTS is located 200m from the KARLSBAD GRANDE MADONNA in Kolmá 9 street. 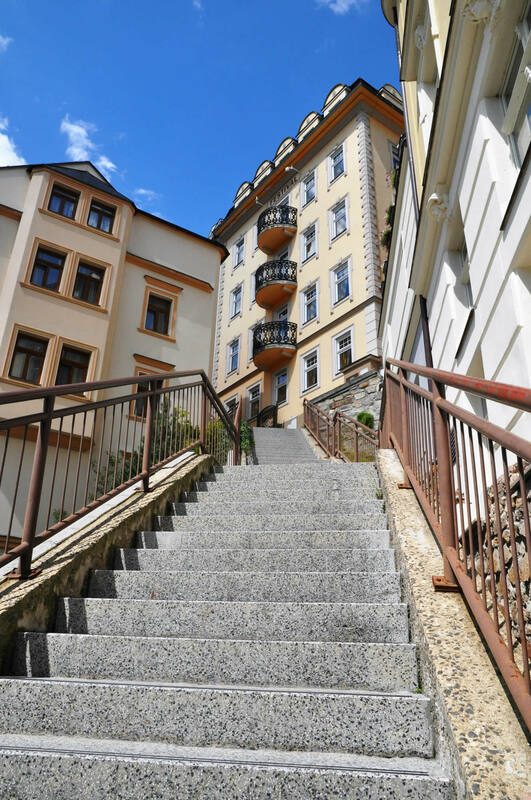 To DEPANDANCE you can either walk up the stairs or, for better comfort, you can use the trails leading around the Jean de Carro Hotel. 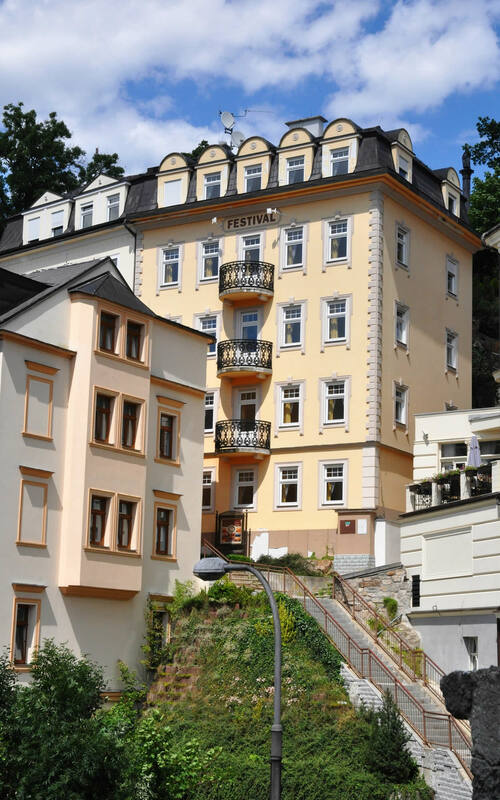 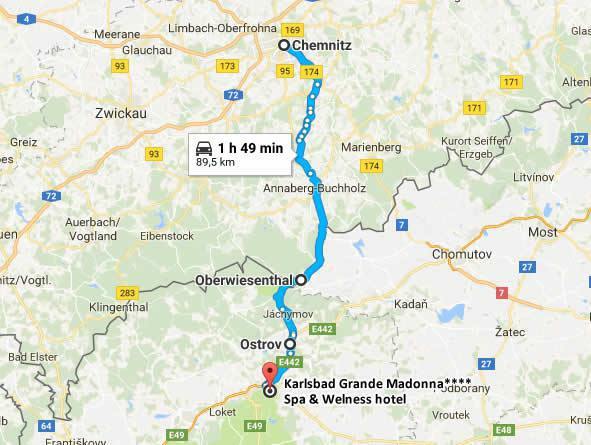 Parking is possible at a distance of 200 meters away from Spa & Wellness Hotel KARLSBAD GRANDE MADONNA**** for a fee. 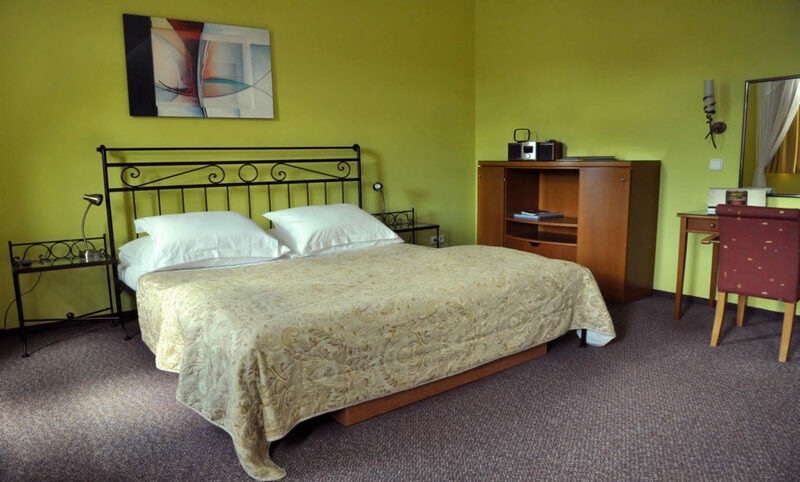 For a fee, you can rent a baby cot and pram. 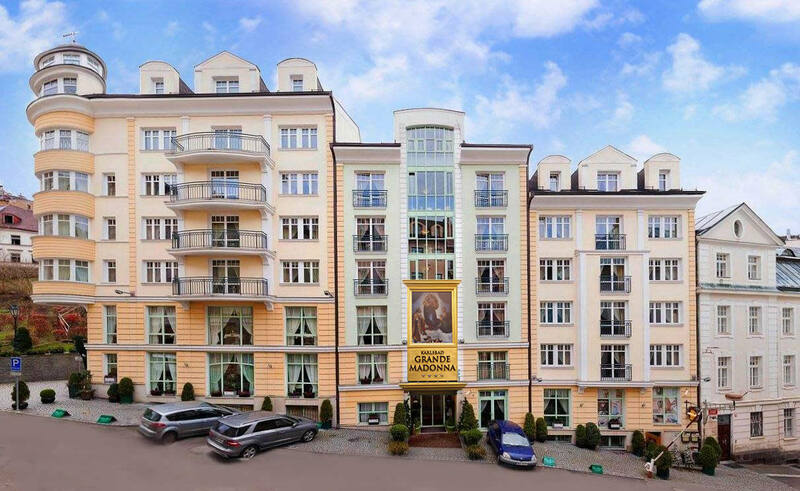 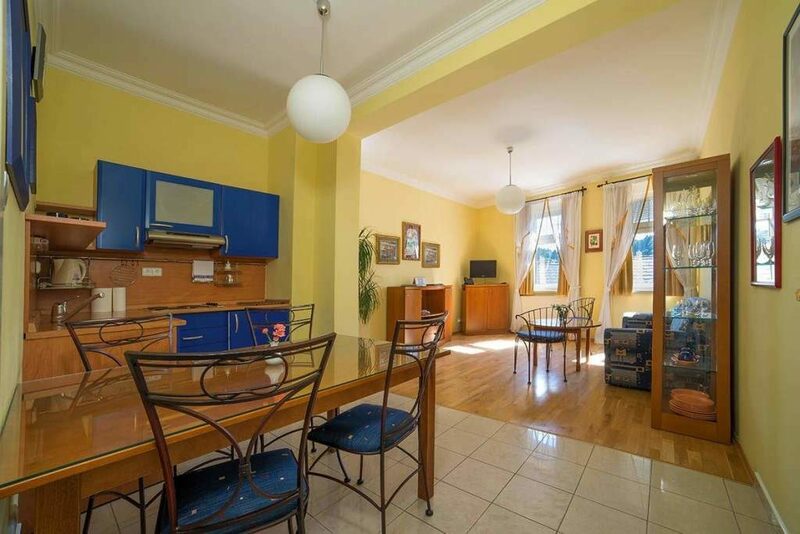 Spacious apartment with a total area of 52,76 m². 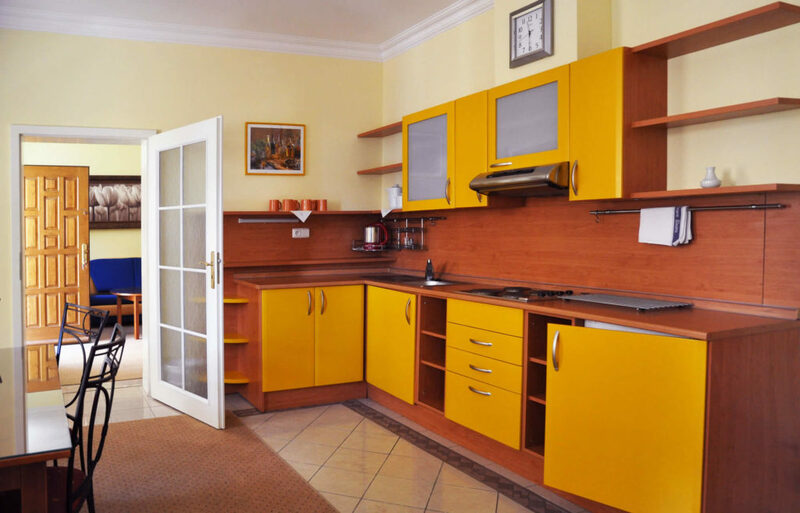 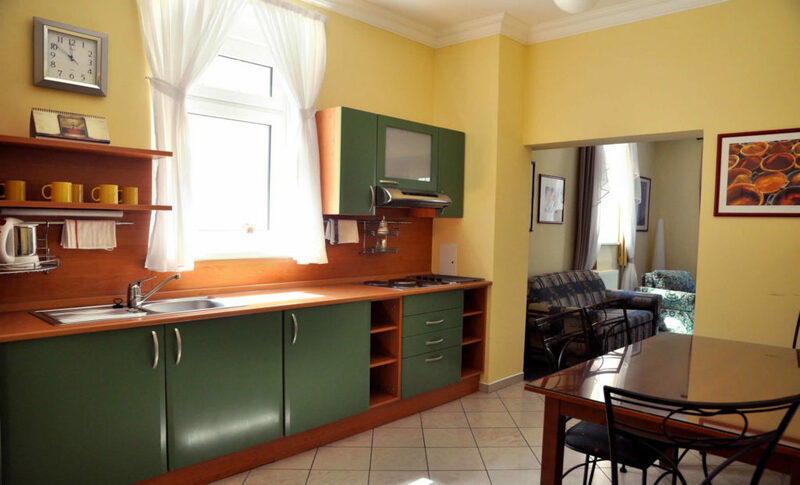 Spacious apartment with a total area of 65,32 m². 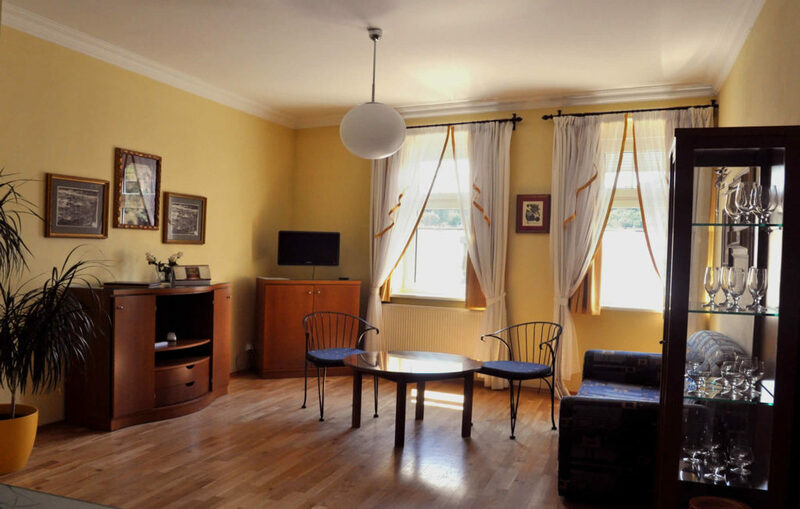 Spacious apartment with a total area of 73 m². 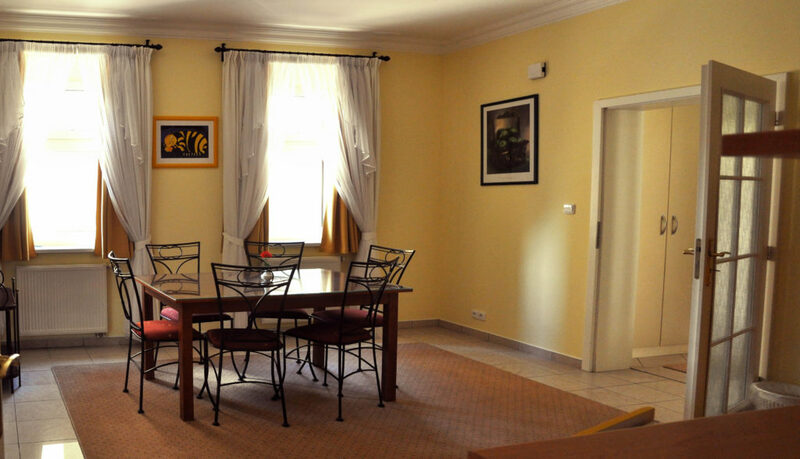 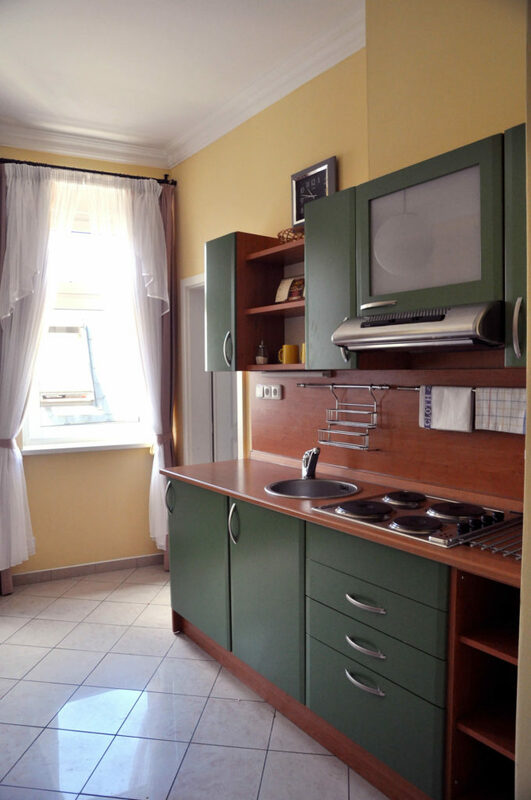 Spacious apartment with a total area of 84,16 m². 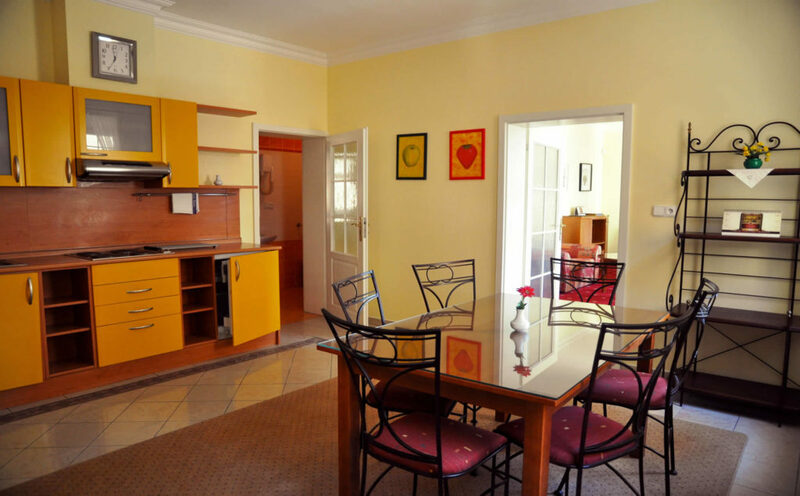 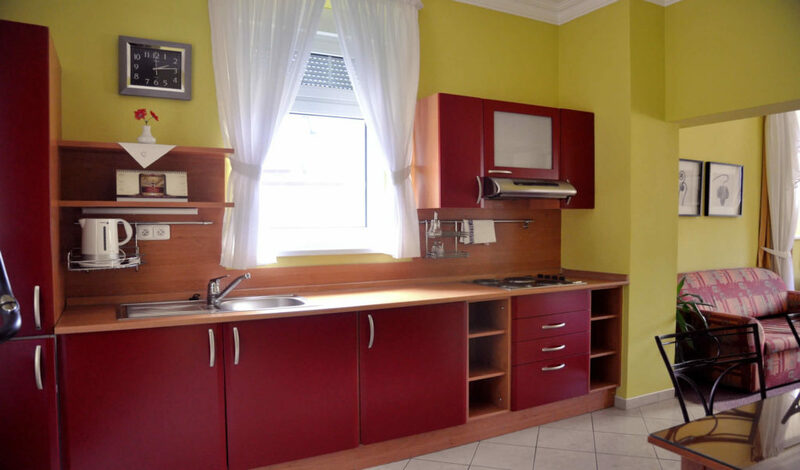 Spacious apartment with a total area of 87,06 m².